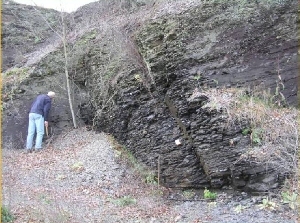 The Marcellus Shale Initiative (MSI) coordinates research activities related to natural gas extraction activities in the Susquehanna watershed. It supports faculty members in all academic divisions on campus and is a part of the Environmental Center. 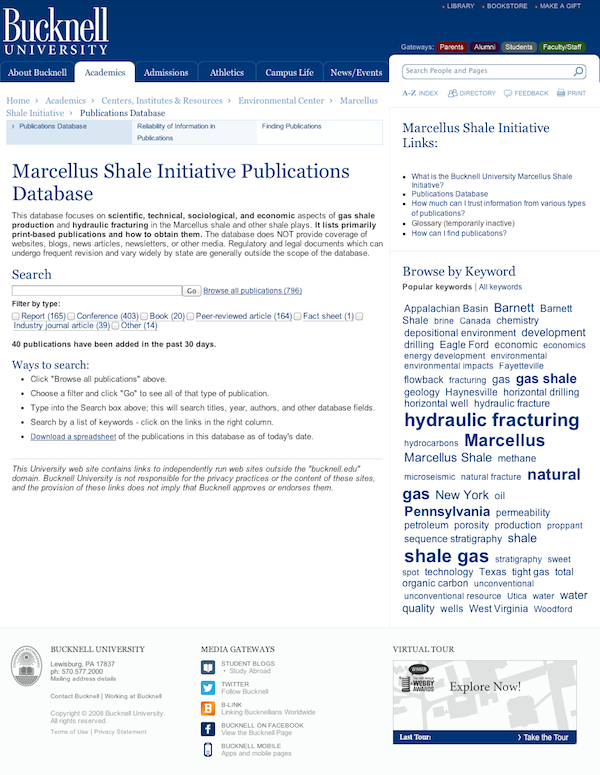 One of the principle efforts underway by the MSI is the development of a comprehensive, objective web-based clearinghouse of information on Marcellus Shale-related issues. The core of this is a web-based Marcellus Shale Publications Database. The web portal allows visitors to view lists publications and how to obtain them. It does not provide coverage of websites, blogs, news articles, newsletters, or other media. We are pursuing funding for a more comprehensive website for reliable Marcellus-related information, vetted by objective scientists and scholars. We envision a website that would be regularly updated and will provide critical evaluation of Marcellus-related information from industry, regulatory agencies, print and web media, environmental groups, citizens' groups. If you are interested in supporting this effort, please contact the Bucknell Environmental Center. Another goal of the MSI is to highlight Marcellus-related research by Bucknell faculty and students, to facilitate teaching on natural gas and the watershed, and create new outreach efforts.